A DUP member of the Policing Board – the body which will select the PSNI’s Chief Constable’s replacement – has said they want his successor to look into building “confidence within the wider unionist community”. Joanne Bunting was speaking as she and board colleagues get ready to discuss the selection process for finding a successor to George Hamilton, who announced on Monday he will leave his post in late June. The only current essential criteria for applicants is that they have completed the Strategic Command Course – or an equivalent course. This is a training programme run by the Policing College in England. The PSNI’s deputy chief constable Stephen Martin already has the qualification, along with four of the five of the officers working at assistant chief constable grade (with the exception being Tim Mairs). It used to be the case that applicants must have two years of experience at a top-level role in a police force other than the PSNI. However this was changed in 2014 to be merely a “desirable” criterion, not an essential one. However it is believed the Policing Board (made up of four DUP MLAs, three Sinn Fein and one each from Alliance, UUP and SDLP – plus several independents) could alter the criteria. Despite inquiries today, including with the Department of Justice, it was unclear at time of writing to what extent foreign citizens may be able to apply. Yesterday fellow DUP board member Mervyn Storey highlighted unionist concerns over what he said was a PSNI “focus on the 10% of killings attributed to the state” during the Troubles. Ms Bunting said that whoever takes the role should know there are “issues of confidence in police from both communities, and those issues need to be addressed”. “I think the priority for me is that there’d be work done with regard to confidence within the wider unionist community,” she said. “I’d praise Chief Constable Hamilton for the fact he has sought to reach out to under-represented groups within the police service. “He’s sought to reach out to ethnic minorities, the Roman Catholic community, to the LGBTQI+ [lesbian, gay, bisexual, transgender, queer/questioning, intersex, and more] community, to women. However she said she did “not think it is wise” for the PSNI “to engage in political campaigns” – such as its uniformed officers marching alongside rainbow Land Rovers in gay pride parades. (As the News Letter has previously pointed out, gay/bisexual people are slightly over-represented already in the police, when compared to the general population – PSNI claim gay officers under-representated despite figures showing otherwise). The board meets next week to discuss Mr Hamilton’s replacement. Meanwhile, more tributes to the outgoing PSNI boss have been offered from policing groups. 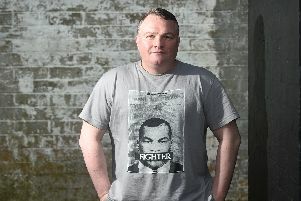 Stephen White, the chairman of the RUC George Cross Foundation, said: “As someone who was trained by, and learned his trade in, the RUC, we are all very proud of what this local man has achieved and all he has contributed to professional policing. “He spent around 50% of his career in the RUC uniform and bravely faced, with those who served alongside, the many risks and challenges which policing a divided society presents. Detective Superintendent Sam Donaldson, Christian Police Association (CPA) president, noted at a recent event Mr Hamilton encouraged his audience to “do justly, love mercy, and walk humbly, as per the book of Micah”.